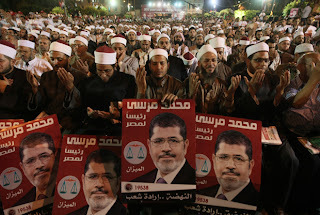 The Muslim Brotherhood's Mohammed Mursi has been declared the winner of Egypt's presidential election run-off. He won 51.73% of the vote, beating former PM Ahmed Shafiq, the Higher Presidential Election Commission said. The head of the panel of judges, Farouq Sultan, said it had upheld some of the 466 complaints by the candidates, but that the election result still stood. 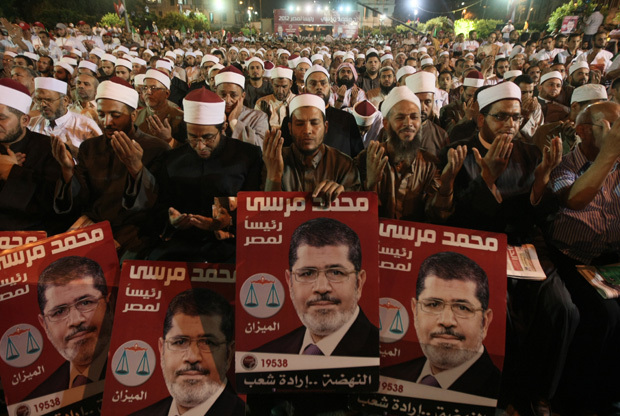 The announcement prompted scenes of jubilation in Cairo's Tahrir Square, where Mr Mursi's supporters gathered.